Enjoy the top 1 famous quotes, sayings and quotations by Stefan Kiesbye. “Did Ida never look for him?" Dieter asks. "She didnt believe in spirits." "And what became of Henry?" "Oh. From time to time you can still hear him calling. My father heard his voice himself." Did Ida never look for him?" Dieter asks. "She didn't believe in spirits." "Every Saturday night when he came home drunk," Frieda says. Want to see more pictures of Stefan Kiesbye quotes? 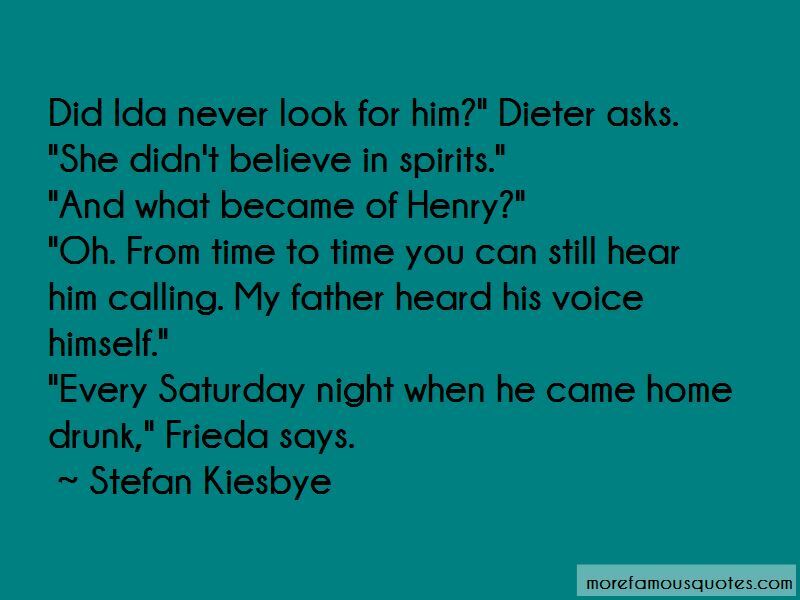 Click on image of Stefan Kiesbye quotes to view full size.